What have I done! I've agreed to participate in a 30 day fitness challenge, AND share my journey with the world via my blog and social media! 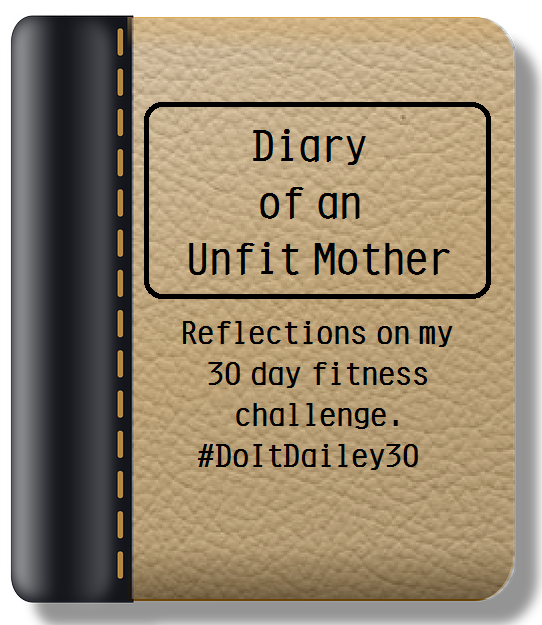 to facilitate our participation in the June #DoItDailey30 Challenge. All opinions are my own. It took years for me to share pictures of myself on social media. Hell, I can only find myself in a handful of family photos for almost two decades. I call those my proof of life photos, so there is some proof that I exist and I'm part of something. I chose to hide behind the camera taking pictures rather than be in them. So what in God's name am I doing in a group photo in tights!?! 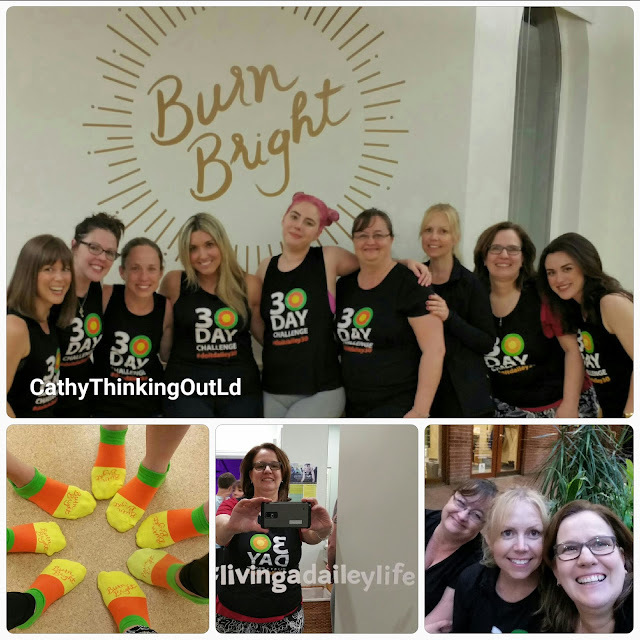 Yes, they are fabulous tights, but they're still tights, and they do not hide the fact there is more of me to love than the others participating in the June Dailey Method fitness challenge. 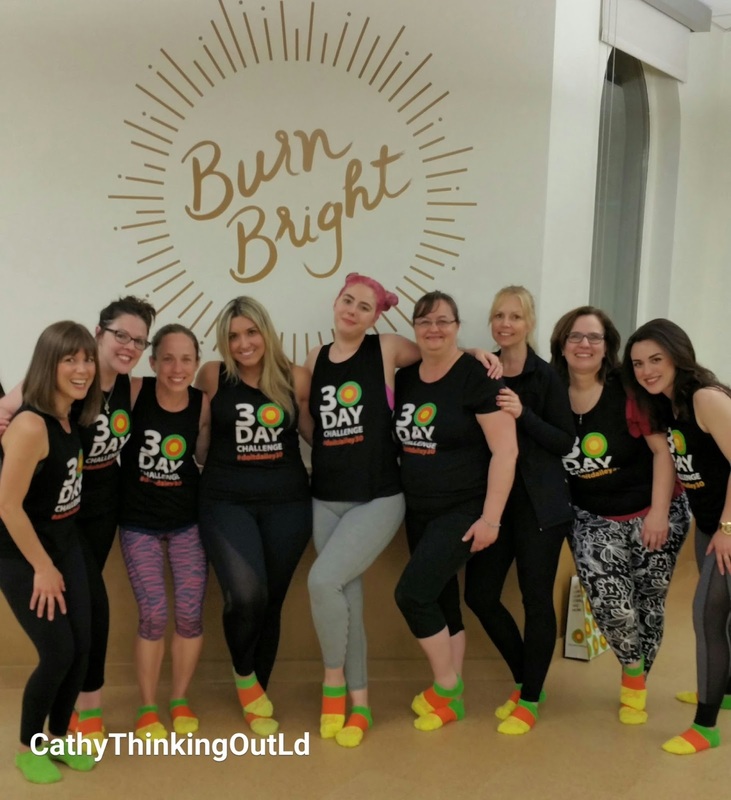 I signed up to try a Dailey Gentle barre class at The Dailey Method Ottawa, which is "ideal for those looking for a slower paced, more nurturing barre experience". That definitely describes me. If I'm honest I felt self conscious about my level of fitness, my weight, and lack of fabulous tights. But I ignored my instinct to run and an hour later had proudly finished my first barre class. Sarah yelling "YES YOU CAN!" right when you think you can't actually works. I'm willing to work hard for an hour for a 5 second "final release", which in the first class consisted of Sarah applying pressure to my shoulders. Those 5 seconds felt as good as any hour relaxation massage I've had. 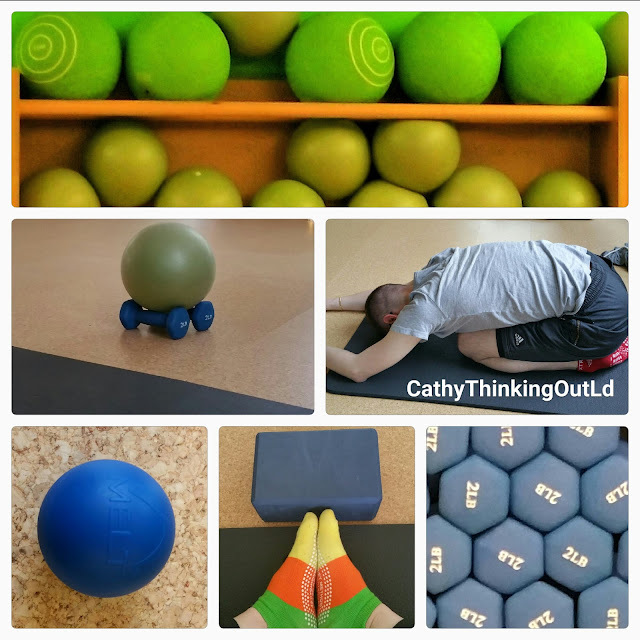 MELT is some crazy magic that somehow gives a tiny blue ball the power to take away stiffness in my hands, the pain in the arches of my feet, and even make my sore hips feel better. I love sticky bottom socks ... I don't think I'll be able to settle for just one pair. Lastly I need to get myself some fabulous tights I feel good wearing, that are fitted so I can better see my alignment in the mirror. 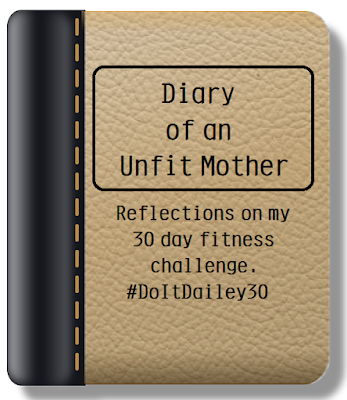 I said yes to the #DoItDailey30 challenge. Tonight I'm off to meet and greet the other Ottawa bloggers participating in the June fitness challenge. I've bought myself some funky flowered tights, but I'm still feeling self conscious about having my picture taken in tights and a skin tight (not in a good way) Do It Dailey tank top, that will definitely be shared on social media. Me in tights shared on social media is WAY out of my comfort zone, but not wanting to appear to be a spoil-sport, I sucked in my gut, put a smile on my face, and prayed others would be kind with the filters and cropping. Now that I've very publicly announced to the world I'm participating in a 20 classes in 30 days challenge at The Dailey Method Ottawa, I don't think I can handle wearing the cone of shame by backing out. Besides I'm doing it with Thing 1, and what kind of example would I set if I quit. Barre class, sacrum, and back dancing sound fancy but in many ways it's the opposite of fancy. The classes really bring you back to basics, focusing on form and alignment, and using very little apparatus other than a barre, a mat, a ball, hand weights and a yoga strap. That's all that is needed regardless of the level of barre class to get a good workout, and strengthen your muscles and body. We had a bit of a rocky start to the challenge with app issues, which made us tardy for our first class. Did I mention I'm doing this with my son aka Thing 1? The Dailey Barre class was bigger then the Gentle, and full, so we couldn't find room for our mats, and all I could hear is the not so quiet voice in my head yelling "What the hell were you thinking! Grab your stuff and run, never to return!" I did not listen to that voice, and instead a very nice staff member helped to find room for our mats, and I finished my first Dailey Barre class. The error of my ways in regards to the TDM app, and how to fix the issue. Arrive at least 15 minutes before class, to avoid a mental breakdown. There is a big difference in the size, difficulty level, and speed between the Dailey Gentle and the Dailey Barre class. 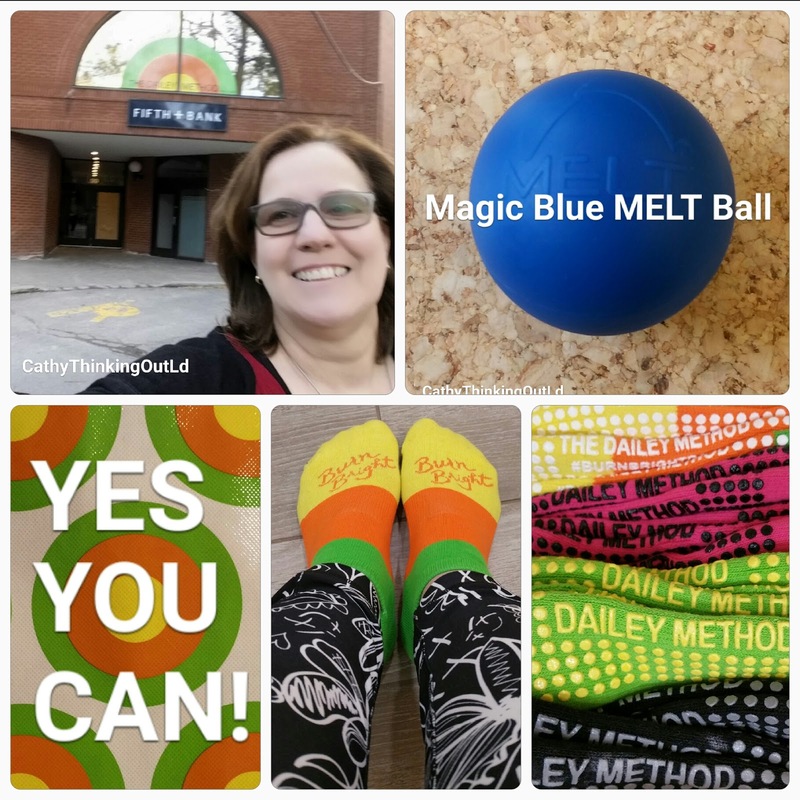 The Dailey Barre classes (for me) are really hard, but "YES I CAN!" Don't be fooled by the name of the class. I know that Candlelit Gratitude Barre Class sounds all Zen and a-u-m inspiring, but it's not! It was the hardest class I've done. I think they turn down the lights so they can't see my tears. I literally thought I was going to cry at one point, first because my muscles were screaming STOP TORTURING US! and then out of shear joy that the hold had ended. I was more than a bit surprised I lasted the entire hour. Even more surprising is I went back for another one the following week. If I can do this, truly anyone can. The key to success is to go at your own pace, be mindful of your alignment, and if you have questions, ask. The staff are open, engaging, knowledgeable and willing to help either after class or in your free one-on-one session. Candles do not mean sleepy time. Misery must really love company, because having Ann (KickAss Living) and Thing 1 suffer through "the hardest class ever!" is way more fun than doing it on my own. You can easily experience runners high after this barre class. Stephanie put some magical spell on us, because both Ann and I went back for more. All joking aside, we both feel really proud of our accomplishments after each of Stephanie's classes. Hard holds, shaking, and pushing a bit further is okay and very different than pain or injury. 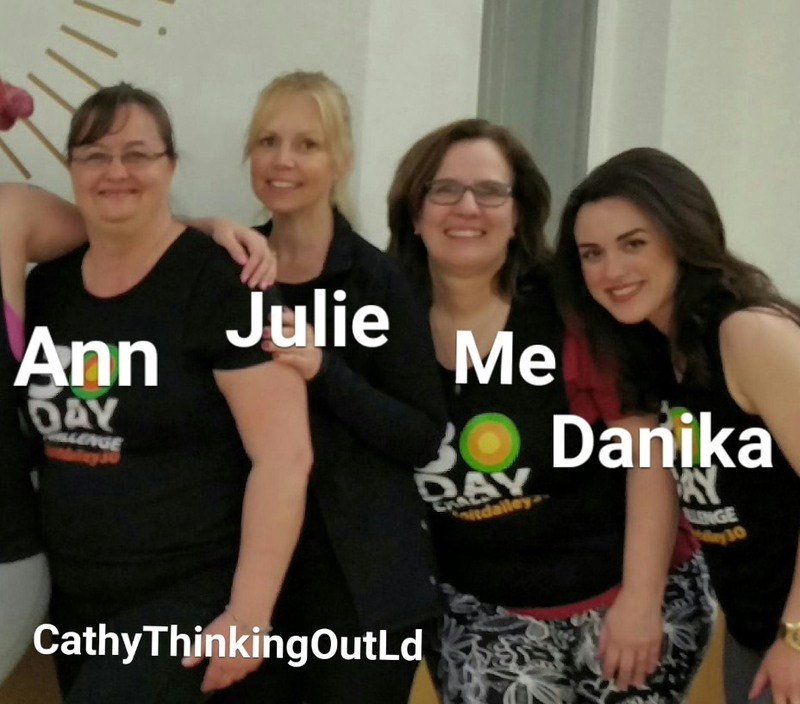 These ladies are fabulous support and a source of encouragement to me. I'm starting to be a regular in Meghan's classes. 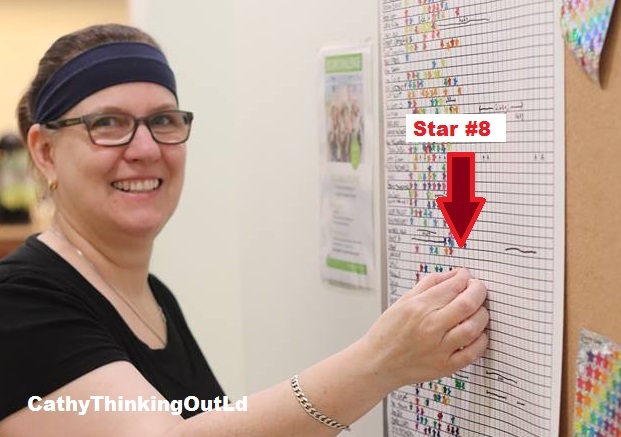 As I reach the half way mark of the challenge I have 12 stars on the challenge board. Each one represents an hour of hard work and commitment. 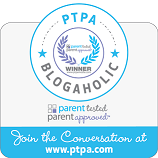 (Just for the record Stephanie's Candlelit Gratitude Class should be worth 2 stars! I'm grateful I can still walk after that.) I'm starting to get to know the regulars, and feel as if I belong here. 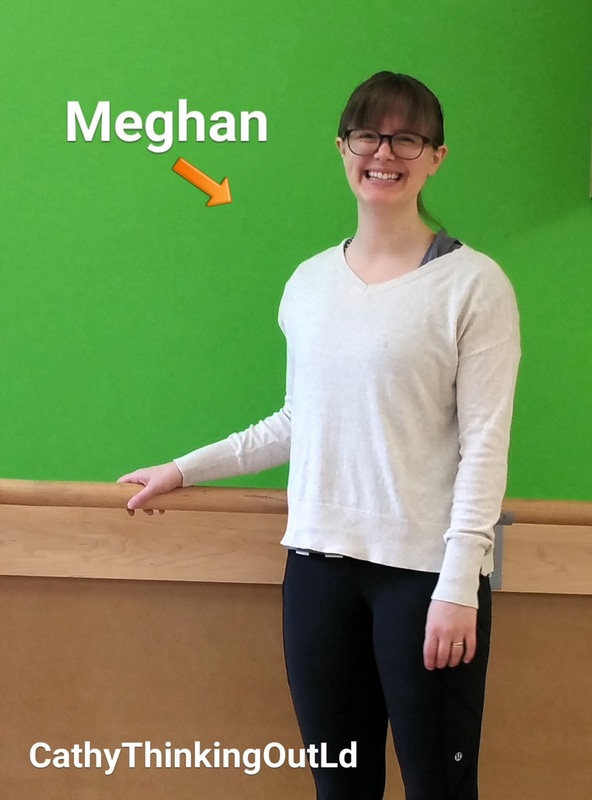 Meghan sees me the most for either her Gentle or Basics classes. I love her positive vibe, and have more than once attended a class I thought I was too tired to do when I discovered she was the instructor. More than the sense of accomplishment each star gives me, I've noticed subtle changes in my abilities and my body. With each class I can hold a little longer, or push a little further. My posture is better, and my shoulders and back have less stiffness, or aches and pains. Same goes for my hips. My flexibility and balance are better. And on my 10th class I held a tabletop plank (no knees) for 30 seconds! I feel better, sleep better, and I believe my arm wings may be a little less wingy with each class I do, so yes I like being a collector of stars. Around class 3 that I learned you needed to sign in. Apparently some loving soul had been doing this for me, and it wasn't until Ann asked if I had signed in did I realize I needed to. A group of friends and a support group like Ann (KickAss Living), Julie (Try Small Things), Danika (BusyGirlHealth), and even Thing 1 make staying motivated so much easier. Having a few new tights and tops make a classes with mirrors everywhere more enjoyable. I do not glow ... I ugly sweat. I can do more than I think ... Yes I Can! On a hot day the best spot in the class is under the ceiling fan. One of my goals is to do at least one cycle class before the end of the challenge. 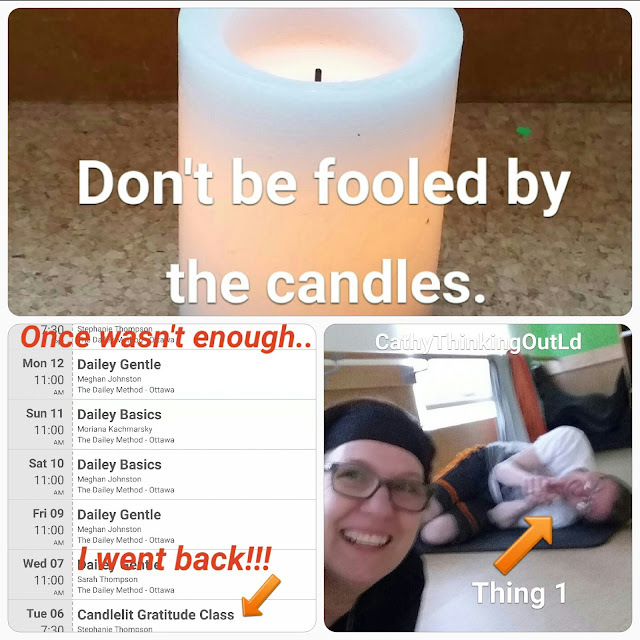 Like the Candlelit Gratitude class, I am not fooled by the peaceful music and dimmed lights. I'm afraid the seats will hurt. I'm afraid I can't do it, and will have to do the walk of shame 5 minutes after the class starts. I'm afraid I won't be able to walk for a week after the class. But ... at the beginning of the challenge I was afraid of having my picture taken in tights, and I was afraid I couldn't do a barre class, far less 20 of them. More and more I'm taking the feel the fear, and do it anyways approach to life. So dear diary you never know, I may just surprise you and spin my way to my next star. Danika, and Julie are fast becoming my heroes ... enduring Jamie's cycle and/or barre classes. He looks all sweet and mild mannered, but I've heard him teaching a barre class, and he's no joke. Of course I mean that in the nicest of ways Jamie, and hope to someday graduate to "Jamie" class level. Ann is a trouper! Taking Do It Dailey to Do It Twice Dailey! Each day there are more people I see regularly at classes. First it was eye contact, then a friendly smile, now a hello or a short comment or conversation. Some have a constellation of stars, and are literally Doing It Dailey. I'm so impressed with their dedication and commitment. I hope they reap all sorts of benefits, both body and soul as a reward for all their hard work. You can find out more about The Dailey Method Ottawa, their classes, and the current promo on their website, or follow them on facebook, twitter, and instagram for updates and news. And for updates on the challenge follow the #DoItDailey30 hashtag. 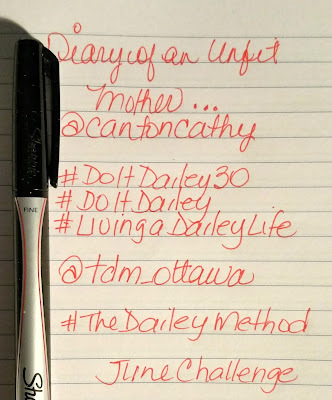 Yep, just me Cathy thinking out loud to Dear Diary about the #DoItDailey30 challenge. 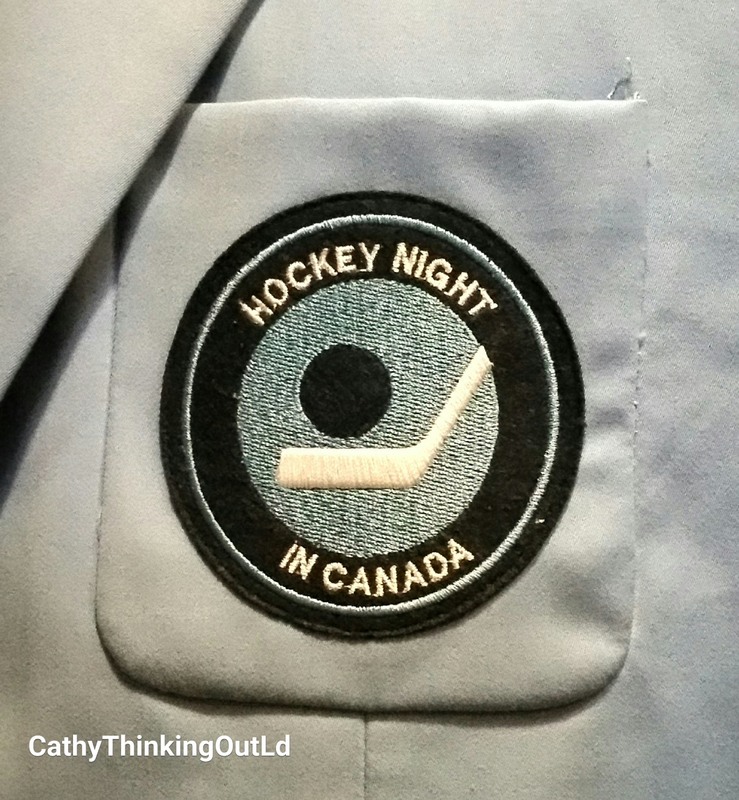 Ain't Nothin' more Canadian than Hockey, Eh! Disclosure: I was invited as media to a guided tour of the #HockeyExhibit at the Canadian Museum of History free of charge. 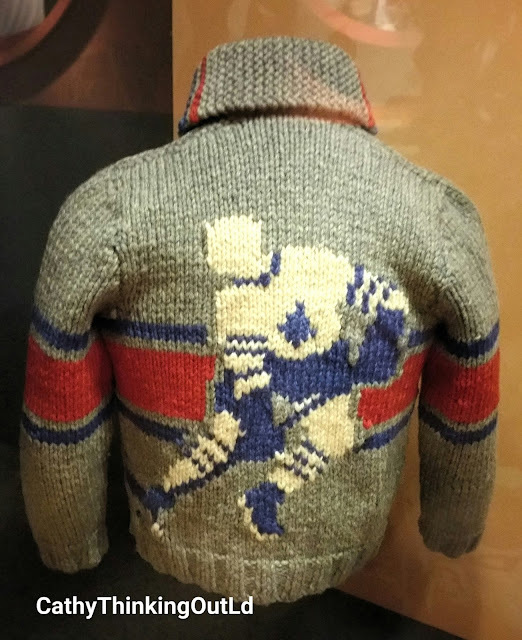 The Canadian Museum of History has pulled together a wonderful #HockeyExhibit that celebrates and highlights the tradition and history of Hockey in Canada. And it seems like a perfect outing to kickoff your celebration of Canada's 150th Birthday. The pictures below give you a small sampling of the interesting items you'll find on display in this exhibit. You'll also find all sorts of fan paraphernalia, artifacts, art, video and images, including several player contracts dating back to 1949. The Hockey Exhibit has interactive and multi-media components that make it fun regardless of where you sit on the hockey fan-dom scale. 0-3 FAN-potential: You know nothing about hockey. You're not sure what off-side or icing means. You watch the play-off games, but usually because someone else has control of the remote. 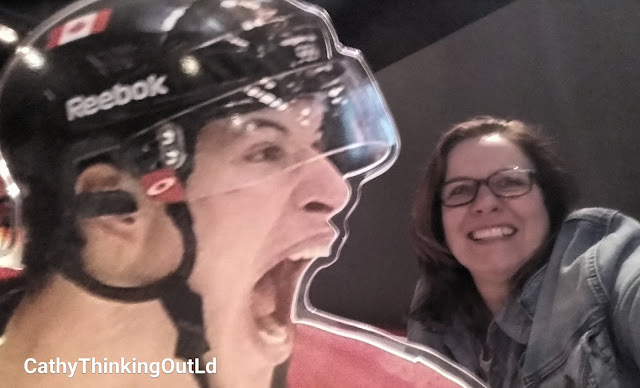 I'm sure after seeing the #HockeyExhibit you'll be at least FAN-like. 4-8 FAN-like: You like hockey, and watch hockey on occasion. You would not say no to free tickets. 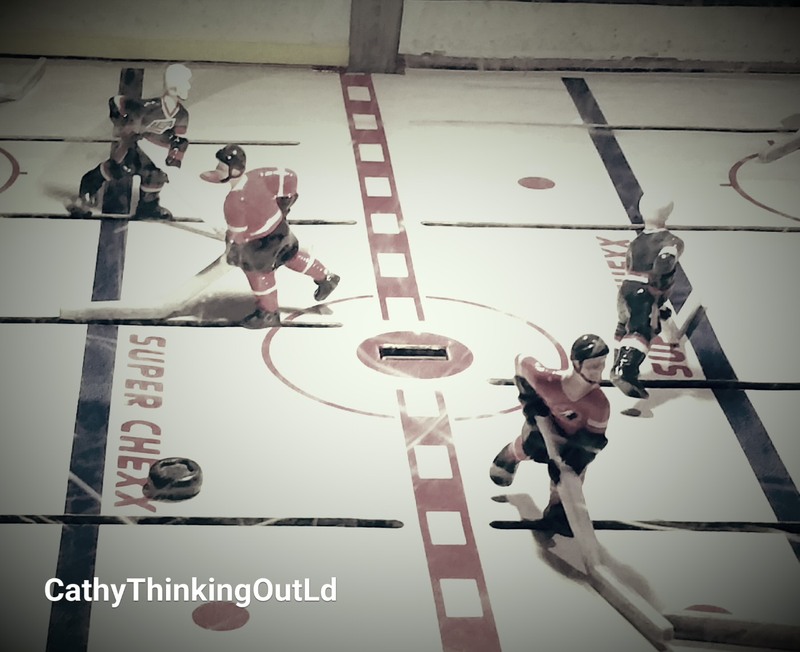 You may be like me and your interest in hockey started when you were forced to learn what equipment goes where and how when your kids started to play hockey. You have fan potential. You know a bit but you're not an expert. 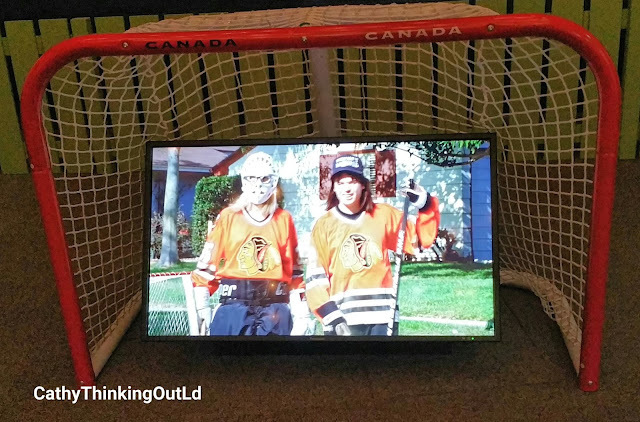 After seeing the #HockeyExhibit you'll know enough to be considered a full fledged FAN. Grab yourself some cool hockey para-fan-alia at the gift shop on the way out so you look like a true fan. 9-10 FAN: You're a fan. You love the game. You definitely watch and track your favourite team and the current season. You own at least one team Jersey and wear when going to a game, or while watching games at home. You might even wear it out and about on game days. Just add a few bits of para-fan-alia, and share some of the cool facts you learn at the #HockeyExhibit and you're well on your way to being a Super-FAN. 10+ Super-FAN: You're an extreme hockey fan! You live for hockey, it's the ONLY sport worth watching. You can quote hockey stats going back at least 10 years. You have a large collection of hockey jerseys (both home and away game Jerseys) and para-fan-alia (which you may have a separate shrine room where you display it). You wear your team jersey and or colours on every game day. You own at least one pair of hockey pyjamas and slippers. You plan vacations (and maybe your honeymoon) around the playoffs. You've probably painted your face in your team colours at least once (a season). You are indeed CRAZY ... about hockey. 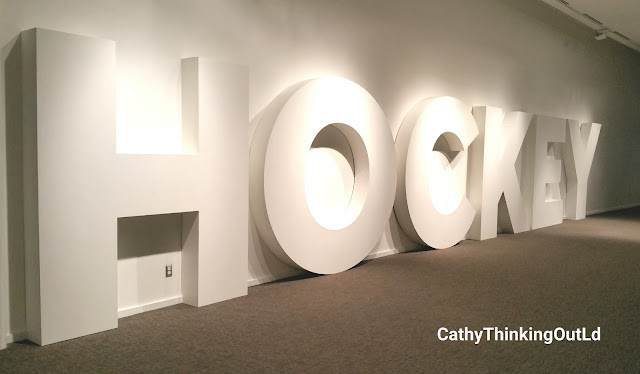 So clearly the #HockeyExhibit is a must see, if only to say "I knew that" at each display. 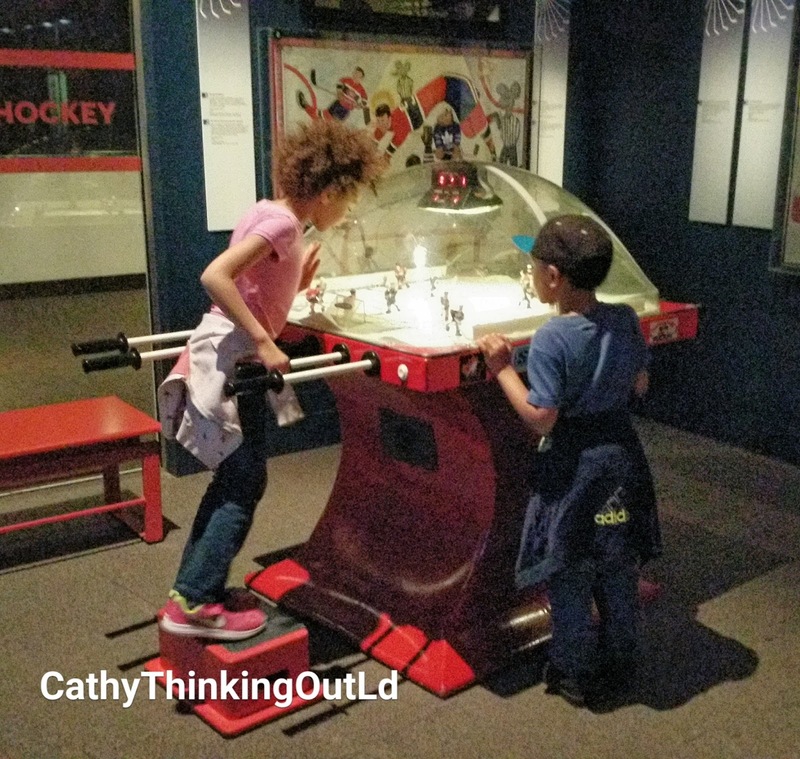 You can tour the #HockeyExhibit at the Canadian Museum of History in Gatineau Quebec (Ottawa), but only until October 9th, 2017. So I suggest you get a move on! He shots! ... He scores! You'll find many artifacts to help you see and understand (and maybe reminisce) the history of hockey in Canada. Even if you're not a hockey buff, you're sure to enjoy seeing the variety of player, team, and hockey related items on display. Everything from cereal to soup cans demonstrate the degree hockey has impacted the Canadian culture. There will always be Canadian kids hoping to follow in the footsteps of Canadian hockey greats. And we have so many greats, and have always had so much hockey talent for our youth (both male and female) to look to for inspiration. These darlings belong to my friend who blogs at ReeseSpeaks Blog. 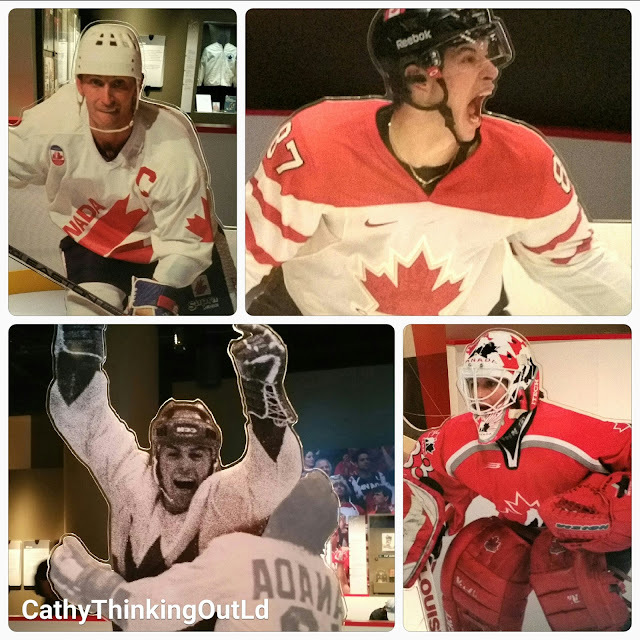 Be sure to check out what the VP's had to say about their visit to the Hockey Exhibit. 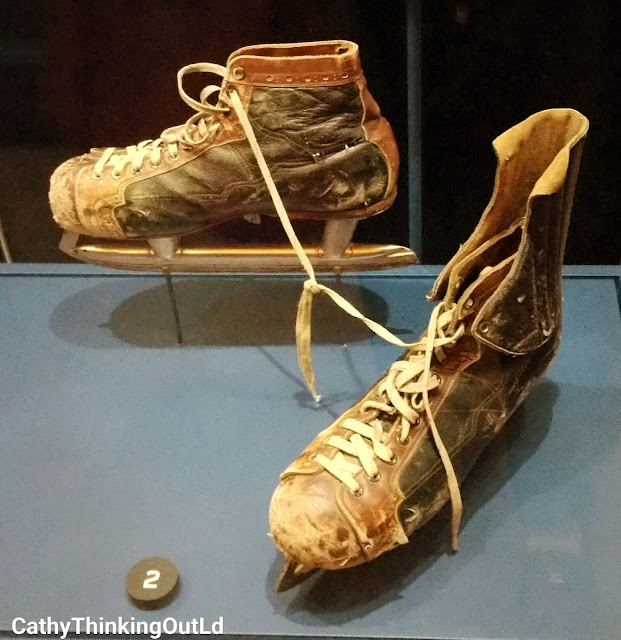 Again you really don't need to be a big hockey fan to enjoy the varied and fun items and artifacts on display in the #HockeyExhibit. You can learn more at the Canadian Museum of History website, or follow them on twitter, facebook or instagram. 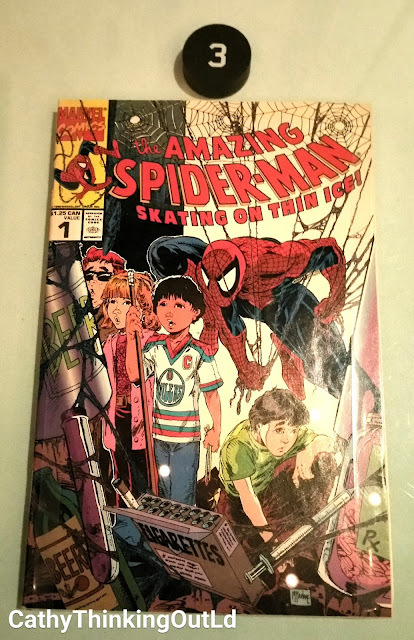 And if you're looking for a fun hockey souvenir or para-fan-alia the Museum Gift Shop has a fun collection of hockey related items at all price points. 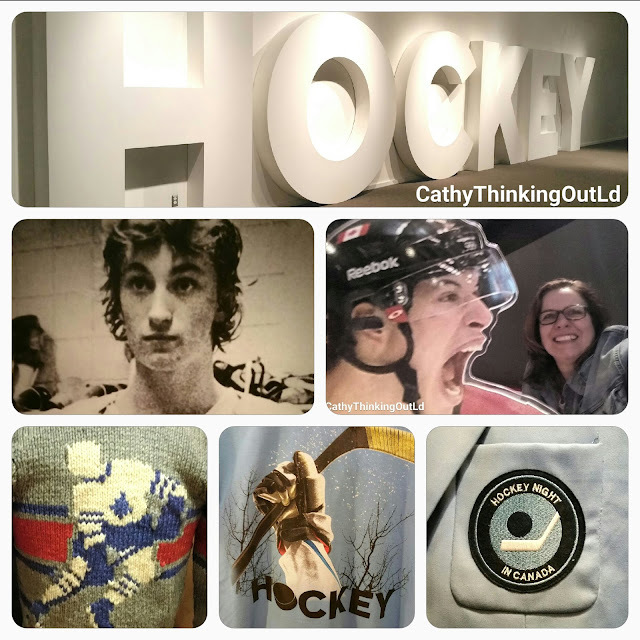 Yep, just me Cathy thinking out loud about the #HockeyExhibit at the Canadian Museum of History. Want to know what's more fun than watching Netflix? 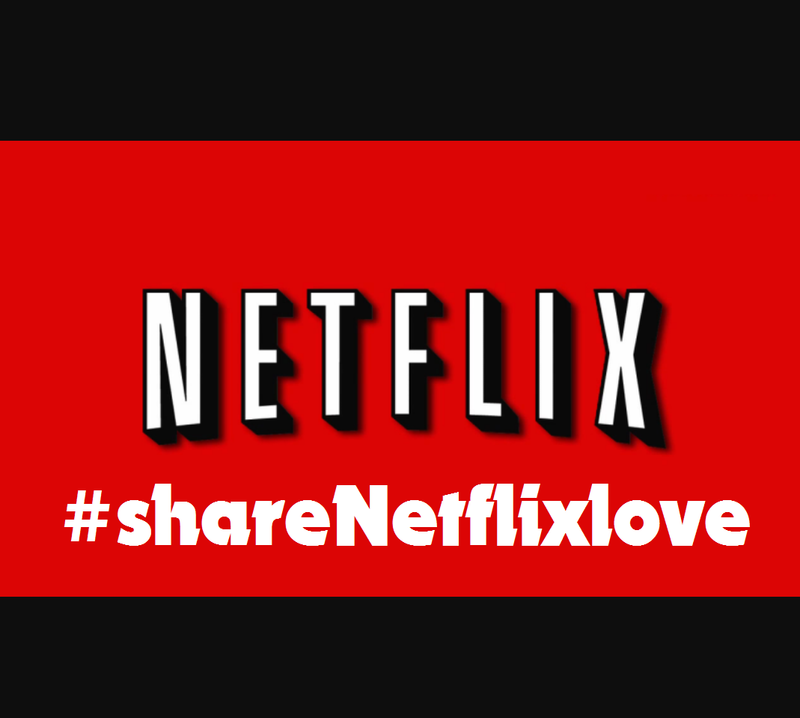 The chance for me to #shareNetflixlove with you. for this giveaway to #shareNetflixlove with my readers. I'm excited to #shareNetflixlove with a giveaway! You can #shareNetflixlove and introduce someone to your love of Netflix too! Nominate/tag a Netflix Newbie friend on twitter and both of you could win a 3-month Netflix Canada subscription! Just follow the 3 easy steps below. 2) share on your twitter account the tweet below adding the twitter handle of a Netflix Newbie (someone you know who doesn't currently have Netflix). 3) This is important: Once you have finished tweeting, come back here and in the comments section leave me a comment with a link to your tweet, and daily tweet date the link is for (June __, 2017). Tweet: "Hey @CantonCathy Netflix newbie _____ and I want to win a 3-mth Netflix subscription #shareNetflixlove https://t.co/qx5ygviRBE "
The goal is to share Netflix love with those who have yet to experience it, so the person nominated or tagged must be a Netflix Newbie and not currently subscribing to Netflix. You can share the tweet above and tag someone once a day. All nomination tweets and comments with tweet links must be completed by June 30th, 2017 at 12:00/noon EST. This giveaway is open to Canada (excluding Quebec) 18+ years of age. The winner will be picked at random from all the qualifying entries. Yep, just me Cathy thinking out loud about have much fun it is to #shareNetflixlove. 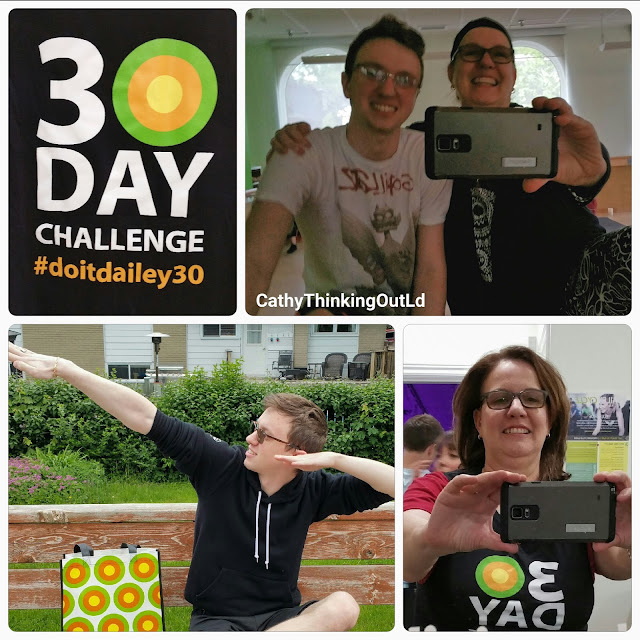 And so it begins Mother - Son Bonding via The Dailey Method 30 Day Challenge! I fully support the use of "Do as I say, not what I do! ", "Because I said so!" and "DO IT NOW DAMN IT!" negotiation tactics. After 21 years I'm at guru skill levels in defer and demand techniques, or to put it in terms my kids understand: If this approach was FPS game video game you'd all be dead. So why share this? 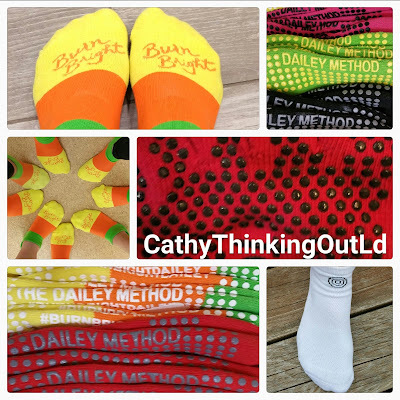 And what's the The Dailey Method 30 Day Challenge connection? Well because I have noticed a pattern of late. With Thing 1's classes done, and no summer job (yet!) we find ourselves spending day after day together. I spend my day "encouraging" him to put the electronics away, and do something. I regularly catch myself telling him (okay yelling at him) "You can't spend all day on your computer!" "It's a beautiful day! Get out of bed and get outside! Go for a walk or a bike ride!" followed by "DO IT NOW DAMN IT!" While not ideal, this story is hardly news worthy. Right?! Wait up, not so fast! As the days go by I realize I'm "telling" him this from behind my laptop. A computer I spend a large part of the day behind. I know it's a nice day because I saw the weather report on the morning news, and I'm yelling this slouched over my laptop on my bed, or the couch. A little voice inside my head started to say "You get up, you get outside! You go for a walk or a bike ride!" and "You can't spend all day on your computer!" followed by "DO IT NOW DAMN IT!". Yes folks, it's time for me to walk the walk. So I accepted the offer to participate in TDM Ottawa's #DoItDailey30 June Challenge, and I also accepted on Thing 1's behalf. Together we're going to get out of bed, get outside, get some exercise and balance in our lives, bond over our shared experience, and we're going to "DO IT NOT DAMN IT!". Did I mention we get those cool grippy socks! 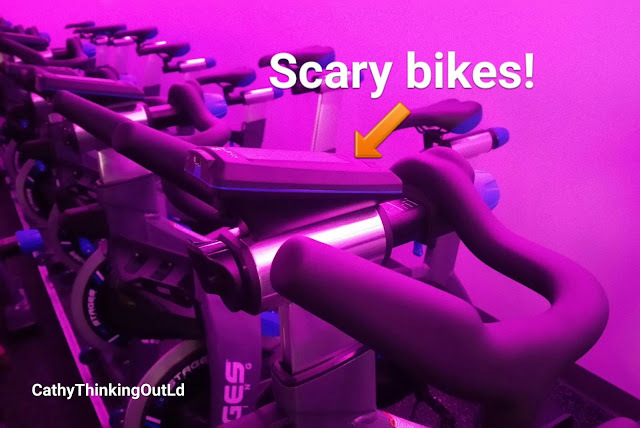 You'll find us trying as many classes as possible (I'm signing Thing 1 up for all the really hard spin and cycle classes ... what?!? I need some pics for my blog posts). And as always, I'll be a loving supportive mother ... encouraging Thing 1 to "Go faster! 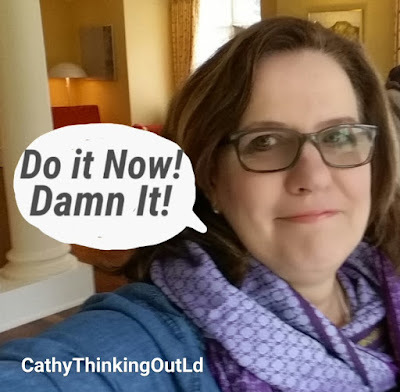 and DO IT NOW DAMN IT!" My plan for myself is to start out with the Daily Gentle 3 times a week, plus at least 1 other class such as the Daily Basics or Daily Barre on the weekends. 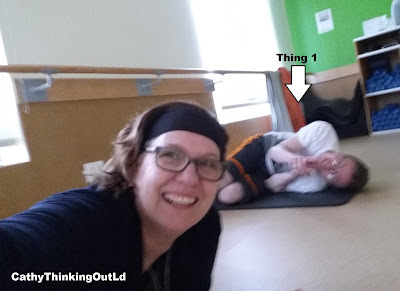 My plan for Thing 1 is for him to do those classes with me and at least 1 Cycle class a week. We may find Thing 1 prefers Cycle classes to Barre, but we'll adjust as we go. Who knows by the end of June he may even convinced his Mom to try a Cycle class. For more information about The Dailey Method Ottawa take a peak at their website, or follow them on twitter, facebook, and instagram. 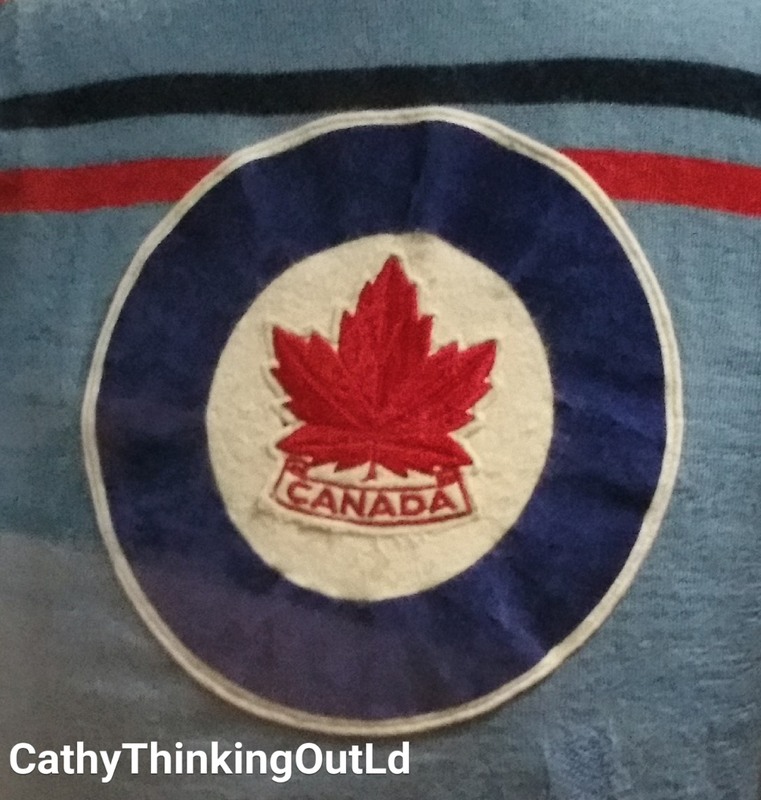 Yep, just me Cathy thinking out loud about first steps to better fitness and walking the walk.